NASHIK FESTIVAL 2014- loaded with entertainment! Catering to the Cultural and sports community in the district, Nashik Festival 2014 recognized and felicitated a range of competitions and entertainment programs in Nashik. The Nashik festival merely showcased the talent of Nashikites who, with their aggressive enthusiasm achieved great heights. This fourth edition of Nashik festival was unfolded from January 4 to 17 and culminated in a Grand finale on January 18 at Anant Kanhere Maidan (Golf Club) at Nashik. 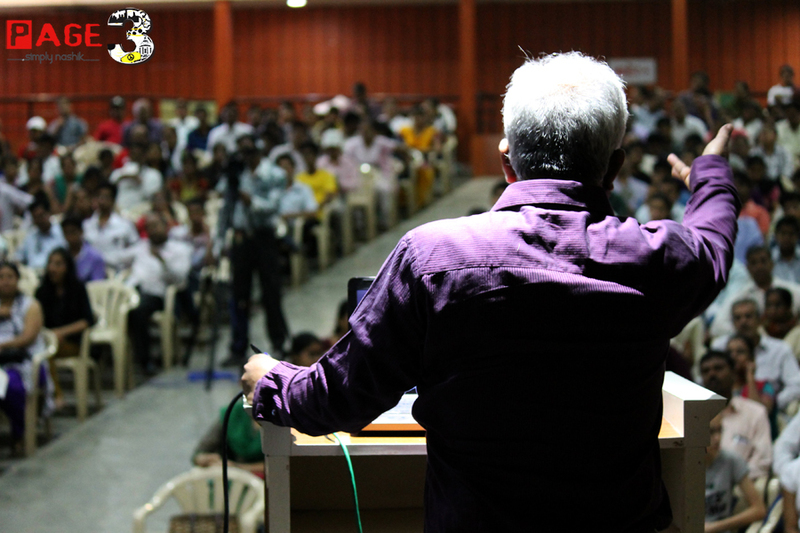 The grand Nashik Festival was organized by the Chhagan Bhujbal Public welfare Foundation (Bhujbal Foundation). 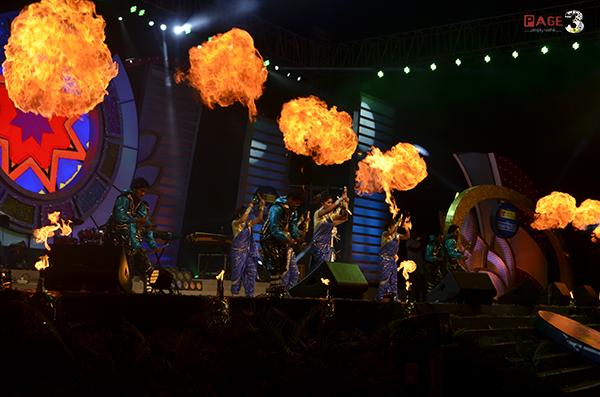 Nashik Festival 2014 concluded with a bang as Nashikkites gathered in huge numbers to witness the Grand Finale. The finale showcased Bollywood celebrities like heart-throb Hrithik Roshan, Bipasha Basu, Chitrangada Singh, Gauhar Khan, Hussain Kuwajerwala and Singer Mika Singh. One of the popular singers Nadesh Upam performed on Maharashtra Geet. Marathi SA RE GA MA PA little champ fame Rohit Raut treated audiences with fabulous songs. Manasi Naik performed on Vat Mazi Baghtoy Rikshawala song. Sachin Pilgaokar was felicitated by Mr. Chhagan Bhujbal sir for his outstanding contribution in the Indian television industry. Apart from the dance performances by the glamour kings and queens, the fun element who stole show was the popular comedy Actor Sunil Grover (Gutthi) who interacted with the audiences and with his perfect comedy timing made the guests laugh. 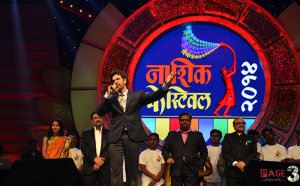 Bollywood stars Hrithik Roshan and Bipasha Basu were a icing to the cake were in Nashik festival. Many other famous artists performed and contributed to this one of a kind celebration in the city. Present on the occasion were Guardian Minister Chhagan Bhujbal, MP Sameer Bhujbal, MLA Pankaj Bhujbal and their family, Doctor Aniruddha Dharmadhikari, Indian middle distance runner Kavita Raut, Alka Tai Jadhav, Ashwini Boraste, Anita Patil, Praful Sawant and many more. Nashik Festival 2014 had hosted a number of competitions such as cycling events, Chess, Badminton, Carom, Body building, cricket, Kabaddi, Kho-Kho, Volley ball, swimming, roller skating and Wrestling. Series of other events like Rangoli, drawing and Bhajan Competitions, Food festivals, Handicrafts (Haat Bazaar) and Photography exhibitions. The winners of these competitions were awarded with cash prizes. For the first time this year, ’Nashik Ratna’ award was presented to persons who have done exemplary work in the field of social service in the district. An event of this sort lead to a spiritual and emotional rejuvenation bonding that would go a long way adding value to the lives of all those who are fortunate enough to be a part of this enchanting endeavor. Nashik Festival 2014 was a platform to express that facet of Nashik’s urban strength and provided to generate an enriching atmosphere that people of Nashik reveled in. Nashik Festival 2014 was an event loaded with glamour and hopefully we would wait to see more zest of entertainment and cultural diversity next year too!